KMAYU (DJ Kawal) is an indian producer, based out in “Bombay’ (Mumbai), India With his full dedication & addiction to electronic music, he has evolved as a Music producer to a steady DJ act, performing across india. he has accomplished a big amount of highlights in his career. Not only on his 1st release of ‘INFERNO’ with Jenil on ‘Peak Hour Records’, he received huge support from Chuckie, Juicy M, Exodus, Karim Mika & many others, but also gained a big interest from major influential labels. With his massively supported Original track Inferno with Peak Hour he was hitting the Beatport big room charts in the beginning of 2017. By the time along with grating his music, gamma style, EDM, ElectronicBollywood, HouseStarting with bollywood remixes, he played at almost all major clubs across the country,also spreading his brand of music through online. As popularity caught on, he began to perform in many Clubs. In 2008, while he made his career in creating electronic music, Kmayu/ Kawal reincarnated himself in 2011 as a sound engineer graduating from SAE, Mumbai. His achievement also includes a few singles which have been released on india based labels like T-Series, Sony BMG, Zee Music and from the international records ‘Peak Hour Music’.Currently, KMAYU is a self employed professional, designing fusion and Electronic DJ/ Music Producer.He is sought after and a definite crowd puller in India and abroad. 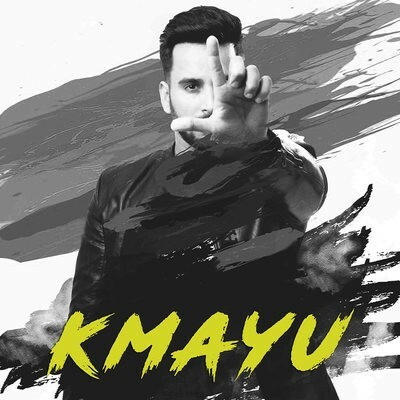 With his foot tapping, fast paced music, Kmayu is rapidly becoming the talk of the town. There is no doubt that KMAYU/(DJKawal) is a name you’ll be hearing for a long time to come ! !